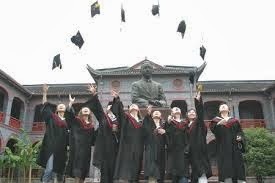 (VOV) - Vietnam Professionals (VietPro) in the UK has established its partnership with VTCorp to assist Vietnamese students to begin their careers. Under the one-year cooperation agreement, VTCorp will not only provide consultancy but also become the main sponsor and co-organizer of Prospect V 2013 on sharing experience and supporting job skills to be held in London and Newcastle in the coming time. Vo Hien, President of VietPro said that the event aims to bring VietPro and the Vietnamese student community closer together and create favourable conditions for Vietnamese students to access the network of Vietnamese young intellectuals in the UK. Established in January 2010 with the assistance of the Embassy of Vietnam in the UK and North Ireland, VietPro represents Vietnam’s young intellectual community in the UK. Over the past 3 years of operation, VietPro has grown strongly from only 60 young intellectuals working mainly in economics and finance in London and over 500 students to 400 young intellectuals and 5,000 students across the UK. VietPro has brought benefits to the community through cooperation linkages and organization of events with the participation of many Vietnamese businesses such as VinaCapital Group, DongA Bank, Prudential Vietnam Company, Savills Group and Premier Oil Company.